They were making the white-knuckled trip from Connecticut because 14-year-old Justina wasn’t eating and was having trouble walking. Just six weeks earlier, the girl had drawn applause at a holiday ice-skating show near her home in West Hartford, performing spins, spirals, and waltz jumps. When the ambulance finally made it to Longwood Avenue and pulled into the driveway of one of the nation’s top pediatric hospitals, the mother thought, “I’m saved.” Her relief wouldn’t last long. Justina had been sick on and off for several years. A team of respected doctors at Tufts Medical Center in Boston had been treating her for mitochondrial disease, a group of rare genetic disorders that affect how cells produce energy, often causing problems with the gut, brain, muscles and heart. Linda Pelletier with her daughter Justina at Boston Children’s Hospital, during one of her allowed weekly visits. Justina had gone to Children’s Hospital this time because the girl’s main specialist at Tufts, Dr. Mark Korson, wanted Justina to be seen by her longtime gastroenterologist, who had recently moved from Tufts to Children’s. But after Justina had been at Children’s for just three days, her new doctors changed course dramatically. During a tense meeting with Justina’s parents, the Children’s doctors said they believed their daughter’s problems were largely psychiatric, and they would be withdrawing several of the medications that her Tufts doctors had prescribed. The parents — Linda in person and her husband, Lou, by phone from Connecticut — strongly objected. They complained that despite their repeated requests, Justina had still not been seen by her gastroenterologist. They became furious when the Children’s team informed the parents that they would be prohibited from seeking second opinions, including from Korson. The next morning, Lou arrived at the hospital, still enraged. After conferring with his wife, he strode over to the ninth-floor neurology nurses’ station and introduced himself as Justina’s father. He assumed it was their right as Justina’s parents to remove their daughter and take her to the hospital of their choice. But behind the scenes, Children’s had contacted the state’s child protection agency to discuss filing “medical child abuse” charges, as doctors grew suspicious that the parents were harming Justina by interfering with her medical care and pushing for unnecessary treatments. Now, as Lou scanned the neurology floor, he noticed that hospital security guards were blocking every exit, focusing their eyes on him. Doctors disagree all the time over the diagnosis and treatment of patients, but Justina’s story reveals a new and remarkably contentious frontier in pediatric medicine. A difference of opinion among doctors at separate Boston hospitals escalated with stunning speed. Just a few days after Justina had arrived at Children’s on Sunday, Feb. 10, doctors were urging state child-protection officials to take emergency custody of the girl from her parents so that Justina would remain safe and get the care the hospital’s team recommended. These cases are rare, but not as rare as one might think. In just the last 18 months, Children’s — which given its reputation attracts many of the toughest cases from across the Northeast — has been involved in at least five cases where a disputed medical diagnosis led to parents either losing custody or being threatened with that extreme measure. Similar custody fights have occurred on occasion at other pediatric hospitals around the country. Lou and Linda Pelletier, with their daughter Jennifer, on a visit to another daughter, Justina, at Boston Children’s Hospital. A juvenile court judge had backed the state’s decision to take emergency custody of the ailing 14-year-old while allowing her parents visitation rights. After that, the girl’s stay at Children’s would stretch from days to weeks to months. Growing up as the youngest of four girls in a family full of demonstrative personalities, Justina Pelletier stood out for her quiet demeanor. In Massachusetts, the Department of Children and Families investigates all child abuse and neglect complaints and is supposed to be a neutral referee assessing the charges against the parents. Many parents and their advocates complain, however, that the state agency, because of its lack of in-house medical expertise and its longstanding ties with Children’s, is overly deferential to the renowned Harvard teaching hospital. There can be no denying that Children’s doctors and nurses provide remarkable care on a daily basis, saving lives and advancing medicine. And they’re legally obligated to report any suspicions of child abuse. But given its well-earned reputation, Children’s can sometimes be a difficult institution to challenge. Around the same time as Justina’s admission, a 5-year-old Massachusetts girl, who had been treated for mitochondrial disorder at Mass. General, arrived at Children’s. Within a couple weeks, her mother was escorted out of the hospital by security late on a Friday afternoon, and the state took emergency custody of the girl. For the first time in her life, she spent the night without a family member at her side. Two other cases involved diagnostic disputes over a rare autoimmune ailment known as PANDAS. In one of them, the parents of a 16-year-old New York girl lost custody of their daughter in the fall of 2012, shortly after her arrival at Children’s. The teenager was moved into the hospital’s locked psychiatric unit, and remained out of her parents’ custody for seven months. In a fifth case, state investigators did not substantiate Children’s allegations against the parents, but hospital representatives continued to encourage ongoing state involvement, long after the patient’s care had been moved to a different hospital. “The fact that Children’s has so much power that they can get us in trouble with a totally different hospital across the city is appalling,” said Jessica Hilliard, the mother involved in that case. Her son Gabriel is being treated for mitochondrial disease. The state did open a new investigation but ultimately closed it. Boston Children’s Hospital officials, citing patient confidentiality, declined to discuss individual cases or allow any of their doctors to do so. However, a spokesman noted that hospital clinicians have extensive experience diagnosing and treating patients for mitochondrial disease, among other rare disorders. To better understand the recent cases of alleged medical child abuse, the Globe obtained extensive medical, court, and investigative records, including scores of documents that describe Justina’s care. Pediatrician Carole Jenny and her psychiatrist husband coined the term “medical child abuse” some time ago, but it has taken hold in the medical world just in the last few years. It has become a controversial catch-all for a wide spectrum of cases in which health care providers deem parents acting against the best interests of their child in a medical setting. Many such parents used to be diagnosed with Munchausen by Proxy, a psychiatric condition in which they seek attention from the medical community by exaggerating, fabricating or even inducing a child’s illness. The new term avoids references to parental motivation. Noted child-protection specialists say signs of medical child abuse, whatever the motivation of the perpetrator, must be taken seriously. “If the parent won’t work with you, and you really think the child is suffering, you’ve got to act,” said Jenny, who until recently ran the child protection team at Hasbro Children’s Hospital in Providence. Still, allegations of suspected medical child abuse become far murkier when the parents’ assessment of the child is backed by reputable physicians at different hospitals. Some child-protection doctors, whose field has recently been elevated to a board-certified specialty, are beginning to draw criticism — even from some unlikely quarters. Assertive parents, armed with information from Internet support groups and believing they’re advocating for their child’s best interests, risk alienating doctors and nurses, leaving them few allies if they find themselves accused of medical child abuse. Growing up as the youngest of four girls in a family full of demonstrative personalities, Justina Pelletier stood out for her quiet demeanor. The brown-haired girl was so gentle that the one time she lost her temper and called her brashest friend an idiot, Justina had spent the next half-hour profusely apologizing. She had been born prematurely and had struggled with learning difficulties in public school for years. Then, in early 2012, her parents persuaded the local school district to pay for Justina to attend an expensive private school for children with learning disabilities. Justina loved the school and formed close friendships. When her mounting fatigue made it too difficult for her to walk several hundred yards to the cafeteria, her friends took turns eating with her in a classroom. Her strange symptoms worsened early this year, prompting her parents to take her to their local hospital in Hartford, and then to Boston Children’s. Records show that Dr. Alice Newton found much that troubled her: How Linda demanded that Justina be given a feeding tube. How Justina appeared to act more impaired when her mother was at her side. And how Linda and Lou had moved Justina around to multiple hospitals. As soon as Linda Pelletier arrived at the emergency room on that Sunday morning in February, she wasted no time asking for Justina to be seen by Dr. Alejandro Flores, the former longtime chief of pediatric gastroenterology and nutrition at Tufts’ Floating Hospital for Children. Flores had been treating Justina for about a year and a half, including during a four-week hospital stay, and had recently moved to Children’s. The fact that he knew Justina’s case so well was what had given Korson confidence in sending Justina to Children’s. “When is Dr. Flores coming in?” Linda asked. She was told Flores was not on call, and later that he wasn’t coming in. Instead, a young neurologist, Dr. Jurriaan Peters, took the lead in Justina’s care. Peters tried to draw out Justina by making the shy teenager guess where he was from, based on his accent. It was a good ice-breaker, and Justina smiled, though she declined to hazard a guess. Peters, who was in his late 30s and had come from the Netherlands to Boston for his residency, had completed his medical training just seven months earlier. He found it much easier to get Linda talking. She told him that a few years earlier, Justina had suffered excruciating abdominal pain and constipation. Doctors at Connecticut Children’s Medical Center in Hartford had removed her appendix as well as a long congenital band that they’d found wrapped around her colon. Still, her chronic constipation persisted. Despite taking powerful laxatives, Justina sometimes went more than a week between bowel movements. After several colonoscopies, Justina had undergone “cecostomy” surgery at Tufts, in which a tube was placed permanently in her intestines. This created a “button” port near the belly button through which a solution could regularly be passed to force the colon to contract and flush her system. Peters took note of the new and relatively rare procedure, which a Tufts surgeon had recommended. Linda explained that Korson, the chief of metabolism at Tufts, had diagnosed Justina with mitochondrial disease, the same disorder that another of her four daughters, 24-year-old Jessica, had been diagnosed with several years earlier. “It’s mito,” the mother said. But Peters had already begun to question that assessment. Here was a girl who was on multiple medications and who had undergone multiple interventions at the hands of multiple specialists, but all that care “has not yielded a definitive unifying diagnosis,” he wrote in Justina’s medical chart. Just a few hours after Peters had first examined Justina, he entered a lengthy addendum to his admission notes, writing that he was concerned about the care she had received from numerous providers in different facilities and states, “the number of invasive procedures Justina has been submitted to, [and] the black and white thinking of Mom.” And he challenged Linda’s declaration of the mito diagnosis, saying Justina’s medical records suggested much less certainty. Linda, a sturdy, 55-year-old former skating instructor, had learned not to give up until she got answers. Although she never finished college, she prided herself on having the smarts to navigate difficult bureaucracies, skills she had learned from her parents, who had fled communist Czechoslovakia. She was still asking for Justina to be seen by Flores, while also telling staff that Justina needed to have her colon flushed and a temporary feeding tube inserted to keep her nutrients up. Peters had different ideas. He called in the social work and psychiatry departments. As soon as Simona Bujoreanu entered Justina’s room the next day, Linda liked the 39-year-old psychologist’s bubbly personality. The idea is these psychosomatic symptoms are real, but there is usually no underlying organic or physical cause. Instead, the cause is psychiatric. “The most prevalent somatic symptoms in children and adolescents are pain, fatigue, and gastrointestinal problems,” she wrote. In contrast to the way the Tufts doctors had been treating Justina for more than a year, Bujoreanu decided Justina’s case was primarily a psychiatric one. Sitting in the ninth-floor conference room for the meeting with the Children’s team that Wednesday, Linda looked on apprehensively as Peters and Bujoreanu explained the new treatment path they planned to take. Her husband listened in by phone. Justina, listless in her hospital-issued gown and slippers, remained in her private room, which her mother had decorated with a lady bug balloon. Linda had spent the last three days watching a blizzard of different faces come in and out of Justina’s room, interns, fellows, nurses, and specialists. Still, there was no sign of Flores, or any explanation for why Justina was not being allowed to see the doctor they had come to Children’s to see. 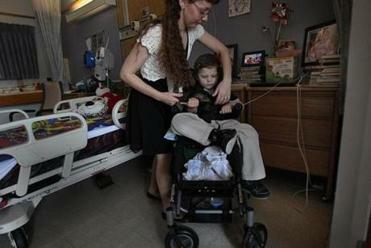 “The fact that Children’s has so much power that they can get us in trouble with a totally different hospital across the city is appalling,” said Jessica Hiliard, whose son Gabriel is being treated for mitochondrial disease at Tufts. Tensions had been escalating between Justina’s parents and the hospital staff. The couple did not mince words, and their emotions were raw. Now these new and fairly junior doctors were confidently sharing their conclusion that Justina didn’t need to be on many of her current medications, and saying that they would begin discontinuing several of them. As was common in mitochondrial disease cases, Justina was taking a long list of pills, prescribed by various specialists, including Tegretol for neurological problems, Metoprolol for a rapid heart rate, and Midodrine for boosting blood pressure. In addition, she was taking a vitamin cocktail prescribed by Korson to help with her weakness and fatigue. Lou insisted that Justina not be taken off any of her medications until the Children’s team had consulted with Korson and Justina’s cardiologist from Tufts. He trusted the Tufts doctors and said he worried that if Justina were taken off her drugs, she could die. Like his wife, Lou, a balding 55-year-old financial planner with piercing blue eyes, had never been shy about escalating conflicts when he felt he was right. He had once reported his biggest client to the Labor Department, accusing the firm of unfair business practices, which had led to the termination of his contract and years of financial stress for the family. The toll of that and all the medical bills threatened the loss of their home and helped put them in deep debt. The Pelletiers had butted heads with other doctors in Connecticut — Justina’s pediatrician there would accuse them of doctor-shopping and “firing” multiple providers. And despite their fondness for Justina’s main doctors at Tufts, they had previously clashed with other members of the Tufts staff, who had filed an allegation of neglect with the Connecticut child-protection agency in late 2011. The complaint alleged that the parents had not followed through on recommended mental health services as part of Justina’s overall care. It also cited Linda’s professed reluctance to assume responsibility for inserting a feeding tube into Justina at home. But the allegations were dismissed. Hoping to avoid a major clash now, Linda enlisted the help of a representative of Children’s patient relations department, who accompanied her as she approached Peters at the ninth-floor nurses’ station. Linda was expecting another discussion. But the neurologist handed her a typed letter listing rules the Pelletiers would have to follow. When she returned to Justina’s room, Linda found a hospital “minder” who, she learned, would be stationed there around the clock, sitting between her and her daughter. Dr. Alice Newton pored over Justina’s chart. The pediatrician, who ran the Children’s child protection team, would never meet Justina or her parents face-to-face, consistent with her usual practice in these cases. But she and her colleagues would play a major role in the medical child abuse complaint that was filed with the state. Newton, who had worked in child protection for a dozen years, had an unusual dual appointment leading the teams of both Children’s and Mass. General. At Children’s, her team filed a formal request for the state to investigate — a maneuver called a “51A,” after the statute authorizing it — in about 400 cases a year. Most were parental neglect cases. Newton estimated that only 2 to 4 percent — or 8 to 16 cases a year — involved allegations of medical child abuse. But what the cases lacked in number they made up for in complexity. For Newton, a chatty, personable woman with short gray hair, these cases spoke to both her interest in protecting children and her private-eye-like passion for solving mysteries. Justina’s older sister Jessica had been diagnosed with mitochondrial disease several years earlier. In the first days after Justina’s admission, records show, Newton consulted with psychologist Bujoreanu and other Children’s colleagues involved in her care. As Newton later explained to state investigators, she found much that troubled her: how Linda demanded that Justina be given a naso-gastric, or NG, feeding tube for nourishment, when hospital staff felt the girl needed to be given a chance to eat on her own. How Justina appeared to act more impaired when her mother was at her side. And how Linda and Lou had moved Justina around to multiple hospitals, drawing frequent complaints about their difficult personalities. 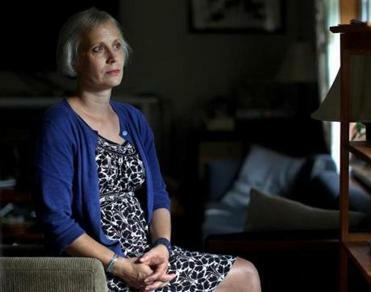 Finally, Newton was troubled by Justina’s many medical interventions, particularly the cecostomy “button” surgery she had undergone at Tufts in 2012, which struck her and others at Children’s as severe and unnecessary. As tensions with Justina’s parents were rising, Newton reached out to Korson at Tufts, though not for his views on Justina’s medical care. Her call was primarily to tell Korson that Children’s had begun investigating the Pelletiers for possible medical child abuse. The only other contact with Korson had come Monday, when a Children’s neurology resident called him for a quick summary of his treatment of Justina. Although inherent in these cases is the suggestion that doctors like Korson were giving care that a child shouldn’t be getting, Newton, like many in her field, generally saw the physicians as innocent victims who were misled by remarkably persistent and deceptive parents — almost always mothers. As Korson tells his patients, mitochondria function like the electrical grids of human cells, generating energy for the organs responsible for everything from vision to breathing to digestion. When those grids begin to falter, the body can resemble a big-city brownout during a heat wave, with the power drain affecting different organs in different ways. That, Korson often reminded people, is what makes mito cases so complex. Patients would be seen by doctors in his field of metabolism. But given the many symptoms, they would also typically be seen by cardiologists, ophthalmologists, pulmonologists, neurologists, gastroenterologists, and a host of other specialists. Korson was familiar with Children’s, having worked there for 15 years before moving to Tufts a decade earlier, in search of greater autonomy. At Tufts, he drew patients from as far as Arizona, in part, he believed, because of the great effort he put into coordinating their complex care. Since the first mitochondrial disease cases were identified in the 1980s, the traditional approach to making a diagnosis involved a combination of biochemical tests, muscle biopsies, and genetic tests. But over the years, Korson and a number of other specialists in the field have found all three of these approaches to be imperfect, making mito very difficult to diagnose conclusively. Korson chose instead to begin by tediously classifying each of the patient’s symptoms, to discern whether the cause for each was related or unrelated to mito. Dizziness, for instance, could be caused by an inner-ear problem or by poorly regulated blood pressure related to mito. Korson recognized that this approach made him a “lumper,” meaning he was more willing to lump patterns of symptoms together to get to a diagnosis, even if the patient did not have the classical markers associated with the illness. Conversely, he felt others, including some at Children’s, were “splitters,” meaning they avoided making a diagnosis if the patient did not have the classic markers. Although he had given Justina a “working” diagnosis of mito, he acknowledged he couldn’t be 100 percent sure. But he was certain of this much: Justina had chronic, serious symptoms that left her drained and were suggestive of mito, particularly her pattern of losing stamina as the day and week wore on, which her teachers had noted. Her older sister’s muscle biopsy had also suggested mito, which can run in families. And Justina had received the rare cecostomy surgery only after a sensitive, two-hour-long test measuring how effectively her colon pushed out waste had provided objective evidence that her colon was seriously impaired. Justina also did not seem to him to be a child suffering from a psychosomatic disorder, since many with that condition tend to avoid school. In contrast, Justina loved school and her friends so much that she resisted Korson’s recommendation for her to reduce her fatigue by switching to a mornings-only schedule. Korson knew that Justina’s parents could be difficult. But he also understood that parents of youngsters with mito are often extremely stressed, carrying the burden of caring for a chronically ill child whose illness very few people understand. He recognized that occasionally abuse accusations against mito parents do turn out to be valid, but in his experience those have been relatively rare. Of the more than 40 mito cases where suspicions were raised about a parent of one of his patients, he supported the accusation in three cases. face-to-face roundtable meeting that included all the child’s key physicians, teachers, and providers — the people who knew her best — with hopes of achieving a unified plan to present to the parents. By the time Lou Pelletier walked through the massive revolving door leading to the lobby of Children’s that Thursday morning, he’d had enough. It was Valentine’s Day, and his wife was in the ninth-floor activity room with Justina, decorating heart-shaped cookies. Linda met him in the lobby, where they agreed it was time to act. Back on the ninth floor, he marched over to the nurses’ station and announced their intention to take Justina to Tufts. He had never read the Children’s handout on parents’ rights, which stipulated that a transfer to another hospital “will be made only when medically appropriate.” He also didn’t know that if the hospital filed a 51A report with the Department of Children and Families, state law gave the hospital even wider discretion in holding on to a child. At 1:03 p.m., fuming as he waited at the nurses’ station, he watched a swarm of hospital security approach to guard each exit. Lou pulled out his phone and dialed 911. Twenty-three minutes later, two plainclothes officers and a sergeant from the Boston Police Department responded to Lou’s call. In the meantime, hospital staff had made their own call, to the state, filing a 51A. They escorted Linda out of the activity room and away from Justina, and over to where her husband stood. When the police arrived, they took his statement and then interviewed hospital staff. After some time, a social worker ushered the parents into a small lounge. Peters, the neurologist, and Bujoreanu, the psychologist, entered. Bujoreanu did most of the talking, explaining, according to the Pelletiers’ recollection, that they didn’t feel it would be medically safe for Justina to leave the hospital. She also informed Justina’s parents that the hospital had filed an allegation of medical child abuse against them. Eventually, one of the officers approached and said the parents would have to leave the hospital. “You’re going to let them kidnap my daughter?” Lou thundered. “It will all get sorted out in court in the morning,” he recalled the officer responding. Linda attempted to go back to see Justina, but says hospital security blocked her. Then police led the parents off the floor. 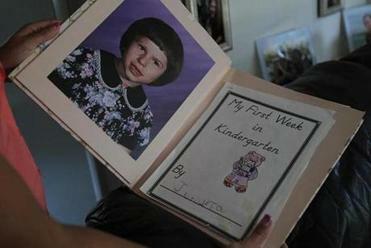 Justina’s mother couldn’t believe that she wasn’t allowed to say goodbye to her daughter. And she was horrified that Justina could likely see her parents being escorted out of the hospital by police as if they were criminals. In court the following day, a juvenile court judge affirmed the state’s decision to take emergency custody of Justina, though he required that her parents be allowed to visit. After that, the girl’s stay at Children’s would stretch from days to weeks to months. At one point, Flores, the gastroenterologist the family had originally come to see, appeared for the first time in Justina’s room. Flores, according to Linda, said he wasn’t being allowed to get involved in Justina’s care. Her new home would be a private room in the 16-bed, fifth-floor unit at the northern end of the hospital. On Bader 5, the entry doors are locked at all times and sharp objects are prohibited. The days are regimented, with set times for wake-up and lights-out as well as tutoring sessions and communal meals. Justina, the mild-mannered teen known for her sweet smiles, furiously resisted the move. Choices about her future were now in the hands of the Commonwealth of Massachusetts. PART 2: The family battles the state.